This resource includes an Interactive Lesson to share with students on Google Classroom. 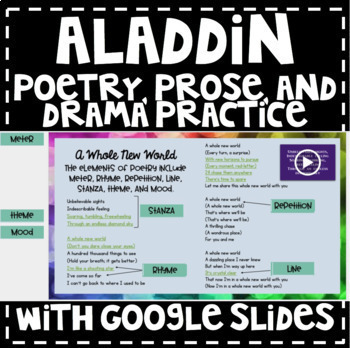 It includes three slides each one focusing on poetry, prose, or drama using Aladdin. The students match the terms with the example given.